Home » Website Building » Weebly » How to Add Accordion App in Weebly and Customize? Accordion style elements allow you to add content in a spoiler form thus you can show more content in less space. Good news is that Weebly came up with default accordion element so that you can drag and drop any type of elements like text, image, gallery, etc. within the content space. Though the user experience of using accordion element is not great, it is definitely worth in many scenarios like adding Q&A, FAQ or any type of structured content. 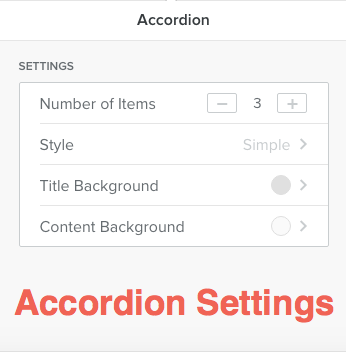 In this article we will discuss on how to add accordion app in Weebly and customize it. How to Add Accordion App in Weebly Site? With the introduction of app center, Weebly offers many new elements and “Accordion” is one such element offered for free. 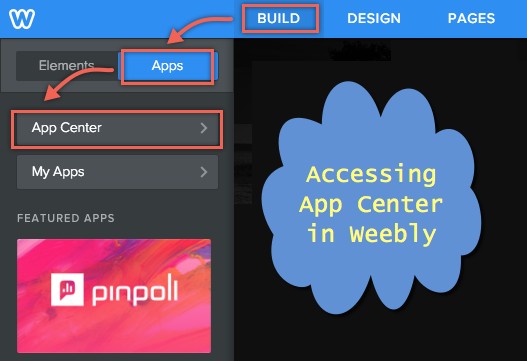 When you are in Weebly editor, click on the “Apps > App Center” to navigate to Weebly App Center. The Accordion app is available under “Tools” category, click on “More” option available against “Tools” section to view the app. Click on the “Accordion” app to view the details and user reviews about the app. Since this is an app from Weebly you can expect more customization options in near future to enhance the usability. Click on “Add” button and then “Connect” link to add the element to your site. Once the element is added, you can view it under “Third Party” category. 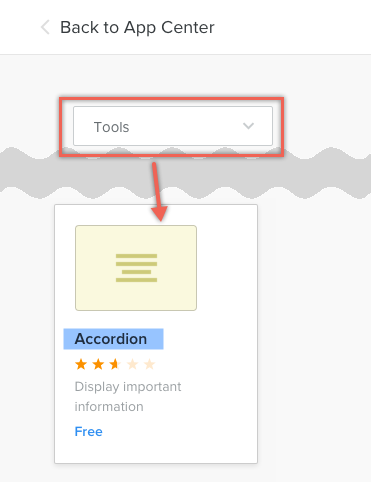 Like other elements just drag and drop the element to add the accordion to your site. When clicking on the element the “Settings” popup will appear offering the option to change the background color of the title as well as the content. You will also have other options for adding more items and changing to one of the available style. At this moment the biggest problem is that once you added the content, there is no way to rearrange it. Hence, decide the sequence beforehand to avoid reworking and hope Weebly or any other developer will come up with more flexible app in the future. When looking at the user’s reviews we noticed other than content rearranging there are two other fixes required for the app – one is stopping the uppercase transformation of the title and other is having separate color for the title when expanding the title. Now the final accordion element on the published site will look something like below having the title same way you enter (not changed to uppercase though it looks uppercase in the editor when you type) and have different color than the content area. Hello, thanks so much for sharing your knowledge. How would I make the ‘closed’ accordian heading with a transparent background, and the open/expanded window with a white background please? Hello! I have a question! i need to expand the first item when page is load.. is it posible? how can i do it? You need to add the code under “SEO Settings > Header Code” section. Try using @media queries along with “pointer-events:none;” to disable the touch events on mobile. I have found your weebly turotials really helpful and appreciate them greatly. I was hoping you could help with modifying the according app a little further. By default the app works well on desktop but when viewing on a mobile device the accordion actually interferes with touch scrolling. As soon as you touch an entry in the accordion it expands so when you have mutiple entries it actually makes it difficult to move down through the page. Is there a way to disable the touch to expand unless the user presses the “+” button. That would clear things up considerably.